There can be no doubt that the imagination is a powerful creative engine and a recreator of powerful images and even sensory perceptions and illusions. The principle is well established by the behavioral sciences, declaring that "our minds tend to fill the voids when faced with what we cannot understand", and giving rise to countless stories of saucers, flying craft and encounters with alien beings which have been subsequently explained or dismissed with the knowledge offered by new technological applications. The following experiences and sightings, however, hail from all parts of the world - recorded incidents and evidence that continue to defy expert analysis of films and testimony - including hypnotic regression and lie detector testing. While this does not ultimately lead us to accept the evidence and believe in its implications outright, it does cause us to reconsider this phenomenology. The skies and territory of the Dominican Republic have been prolix in sightings and contact with vehicles and entities that definitely do not belong to this world, dimension or time. In the early 1970s, such phenomena multiplied overwhelmingly and have remained at more or less the same level of intensity. Tony Raful, a scholar and author, had a shocking experience that dispelled his skepticism - if any - about the existence of aliens and their presence on Earth. He was driving his Volkswagen along the one-time coastal highway between San Pedro de Macorís and Boca Chica in September 1972, accompanied by a friend and attorney Dr. José Florentino Sánchez, returning from La Romana, where they had visited a former classmate. About some fifteen kilometers before reaching the crossroads leading to the famous bathing resort, precisely where there used to be - or still is - a small inlet, the time being approximately 8:30 p.m., Raful and attorney Sánchez were chatting about the nature and effect of propaganda, particularly of the political kind, and how it distorts the mindset of societies. "You see that stuff about UFOs?" asked the attorney. "I'm certain its propaganda, particularly from the United States, used to distract the population from serious social problems." Tony, who listened and answered in monosyllables, decided to answer the statement while not fully in agreement with it. "No, that's not how I see them, Florentino. There are signs that there's much more involved, things we don't understand yet and there are many accounts of phenomena lacking a sound explanation." Sánchez then resorted to Carl Jung, arguing that it was a result of visions from the collective unconscious. At that precise moment, the Volkswagen developed a noise that its occupants interpreted as a flat tire. Tony pulled over in a straight segment of the narrow - and dangerous - two-way highway, stepping out to inspect the cause, marveling at the clear night lit by the full moon. He found that the car's tires were in good order and boarded the vehicle again. Only then, the engine wouldn't turn over. "We'll have to push it," said Florentino. 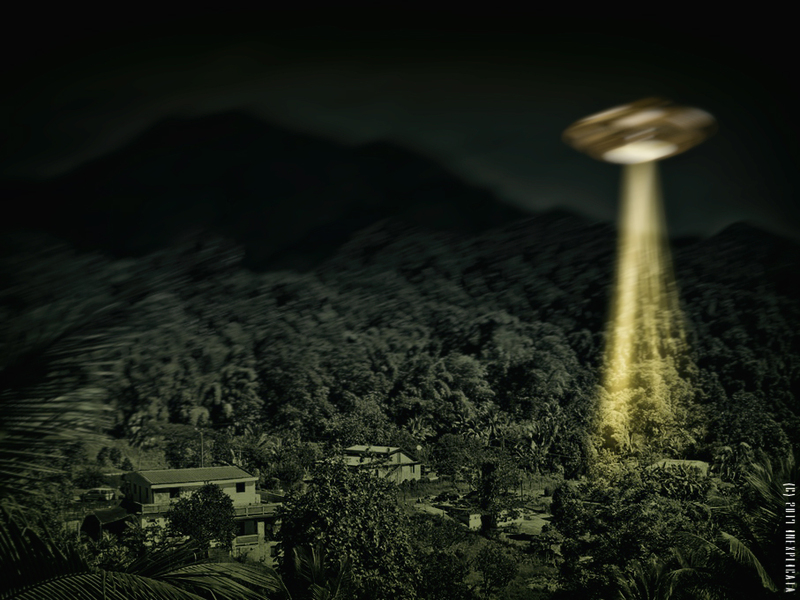 Upon getting out of the car, an oval shaped object appeared at some six or seven meters overhead, looking to all extents and purposes like a helicopter. "Careful!" Tony shouted, "It’s a helicopter and it seems to be malfunctioning. It could head our way." "But what are you saying, Tony? Can't you see it doesn't have any blades?" The future award-winning author confirmed what his friend was saying, further noticing that the oblong artifact measured roughly some four meters long, was copper-colored and had narrow slits for windows, one beside the other and issuing light. The object was some ten meters distant, motionless by the palm trees. Small yellow lights, pulsating gently on the object's contour, were now visible on the strange and now frightening object. Tony and Florentino got in the car and tried starting it again, unsuccessfully. They rolled up the windows and locked both doors. The UFO remained in the air, motionless for over a minute, before heading off toward the sea. 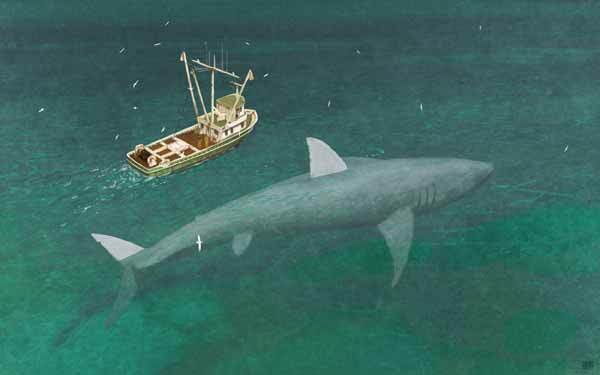 At a distance of 100 meters or more, over the sea, it hovered two meters above the surface for some six or seven seconds. Suddenly, it took off at a speed greater than a Formula One race car along the ocean's surface. The poet and intellectual believes it travelled at 600 kilometers an hour from zero, vanishing into the horizon. They were still stunned when they heard the loud and sudden braking noise of a passenger bus right behind them. The vehicle disgorged its driver and passengers, anxiously asking what was it they had just seen speeding off to the sea, talking off "like the devil's slingshot" along the water's surface. The driver told Tony and his passengers that upon seeing the object from behind at some distance, the bus began to hesitate and could not move forward until the artifact moved toward the sea. Our friend Raful and his passengers could not - and still cannot - find an answer to what they saw. Some ten minutes later, having recovered from the experience, Tony managed to fire up the "bug" again, continuing their return journey to the capital without incident. In August 1972, coinciding with storm warnings, our brother Marcos Rafael was driving along the beachfront heading home after noon. He stopped, along with other drivers and witnesses, who also got out of their cars - Don Pedro (Peter) Morales Troncoso among them - to look at something resembling a medium-sized metallic cube that seemed to be the tip or upper section of a larger submerged object, seemingly coming out of the mouth of the Ozama River, visible from the Monument to the Financial Independence of Santo Domingo, popularly known as "the female obelisk." It moved speedily along the water's surface and out to sea, causing very slight waves, although it was possible to see some thin streams - eight of them - surrounded by a steamy spray that went up into the air, projected at height of possibly a meter and a half. A submarine sighted within 20 meters of the shore? The object headed away and was visible for seven minutes before vanishing from sight. Don Peter Morales and my brother, when interviewed, still cannot define the nature of the strange object, but it was clearly "not a submarine like the ones we know." Many Dominican hikers and mountaineers have reported nocturnal encounters with flying objects that do not compare with anything they've seen before. Some of them have flown over their heads at low altitude in the afternoon, as they reached their destination, or camping during the night. They had a variety of shapes and colors: saucers, luminous cigar-shaped craft, opaque and triangular vessels with lights along their edges...a lengthy menu of sightings. The mountains of the Cordillera Central in the heart of Cibao are the prime location for these phenomena. José Leandro Ferrúa, the gifted architect, told me the spellbinding story of what happened to him and his wife Hilcia and some friends whom they were entertaining on the terrace of a second story residence in Santo Domingo's Av. Anacaona. From the corner of his eye, he was able to notice a flash. Looking toward Mirador del Sur park, located in front of the terrace on which they were seated, he exclaimed: "Look what's behind those trees!" pointing out the spot to all present. Some seventy meters away, they saw a spherical upper segment protruding from amid the dense tree boughs, nearly in front of their residence. It issued bright flashes of light that changed colors, nearly pulsing, from orange to red to white, to yellow and greenish blue. The object, seemingly large, rose and became visible above and behind the trees with a brief and swift rise that made it visible halfway, prompting one of the guests to shout: "Careful, it's coming toward us!" No sooner had he uttered this warning than the object descended again, as if hiding behind the trees, said José Leandro. Suddenly, as if gaining momentum, it lifted itself quickly into the sky, showing off its enormous size, the full radiance of its changing colors, and disappearing into the heights at an incredible speed. Miguel A. Rivera, a broadcaster and art critic, refused to tell his story for many years, until finally agreeing to tell us about the uncanny experience he had as he returned from a social engagement in AcroArte sometime in mid-March 1988. As he returned home around 1:30 a.m. with his wife and sister, both he and his passengers were able see - as from the moment they crossed the Duarte Bridge - a well-defined, rather small object, no greater than the size of two basketballs in diameter - with changing colors, following them at a height of eighty meters, pulling ahead of them a short distance away and then falling back. Rivera, of a rather calm disposition, felt more upset or uncomfortable than concerned about the thing following them. Increasing or lowering his vehicle's speed was fruitless, as the object was always near. Approaching the filling station located at the intersection of Av. España and Las Américas, he pulled up to the pump and stopped his Mazda station wagon in order to wait for the object to depart. The device stopped above the Av. España overpass with a curious up-and-down movement. After realizing that the object was not going, they decided to continue their journey. As they re-entered the expressway, the object switched to the right and toward the sea. It paralleled them for a while at a distance and disappeared. The passengers continued their journey with more composure until the mysterious ball reappeared around Tres Ojos, flying back from the sea and hovering vertically some eighty meters ahead and at the height of a streetlamp. The three passengers were shocked, and the two women panicked. Rivera, now disturbed, engaged in calming conversation. He continued to drive. The object, matching his speed and ahead of him, led him until he entered his neighborhood, located in the Los Frailes sector, where he lived at the time. In a burst of courage, and ignoring his family's pleas, he stepped out of the car to challenge the object, which again remained static aside from its vertical sway. It was then that he boarded the vehicle hurriedly, speeding home to rid himself to the disconcerting, and now frightening, disturbance. Finally reaching home amid great apprehension, they left the car outside and ran inside, locking themselves in. Once in his room, he opened a blind facing the back yard to make sure that his enigmatic pursuer had gone. He attested, to his shock and dismay, that the blazing object was a few meters above the dividing wall, apparently waiting. There appears to be a relationship between the occurrence of natural phenomena and disasters and manifestations of strange flying objects. Before and after earthquakes, tsunamis and volcanic eruptions, UFOs have been seen around the event by many people, and have been captured on film. On September 3, 1930, as I wrote in the article "Memorias Maternas del San Zenón" (Mother's Memories of the San Zenón Hurricane), I mention the appearance, around six o'clock in the evening, of a large, spherical object whose flashes of light were distinguishable despite the heavy rains and severe winds at an estimated distance of some two kilometers from the shore, 100 meters above the water. It was seen by many residents of the capital city living near the sea, and it remained motionless for a long time, despite the fierce hurricane winds. But if sightings of strange vehicles are surprising, physical contact with intelligent beings not belonging to the human race is even more intimidating. These are the so-called close encounters of the third kind. Two employees of the Evaldra Discotheque in Costanza headed home at 2:30 a.m., at the end of their shift, one Saturday in September 1988. Along the road, in the shadow of an alleyway, they saw the silhouette of a rather small man, with a longish green jacket, similar to the kind worn by soldiers in cold weather. They stopped to see who it was, since everybody knew each other in Constanza back then. Noticing that the human figure was motionless and silent, its eyes covered by what looked like round dark spectacles, they asked if he needed anything. No sooner had they asked than the figure shook, extended its arms sideways, and emitted a vibrating, buzzing sound, like that of a mechanism. Its eyes or goggles turned red. Rafelito and his companion ran in such a way that their legs could've scraped their necks, engaging in that timeless human speed trial: running out of fear. While an encounter with beings or craft from another world may seem exciting, revealing or romantic to those seeking a sighting or a close encounter, it is good to bear in mind that many people have suffered negative effects after being in the proximity of these phenomena. On a little farm in San Francisco de Macorís, here in the Dominican Republic, a couple who refuse to disclose their names was awakened and illuminated by a hot, blue-green light at 3:30 in the morning amid a piercing buzzing sound. When the husband went outside to see what was going on, he found that a flying disk was changing colors at a distance of 25 to 30 meters. Frightened, he re-entered his home and the heat and light intensified. After it was over, the couple was left with irritated eyes and throat trouble for nearly a week. Burns, headaches and very serious damage to witness health have been reported elsewhere. 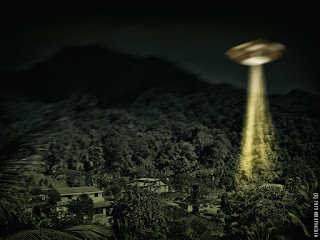 Eyewitness accounts to Dominican UFO phenomena are vast and abundant, as well as the sightings of strange intelligent beings in our beloved Dominican soil, too many to include in a single article. There yet remain eerie and stunning experiences involving vessels, beings and strange areas of the country which give even skeptics pause. We will provide a second part, for which we have kept the best of our harvest, if this prestigious publication should agree to make them known. Publicado por Terra Incognita en 7:51 p. m.